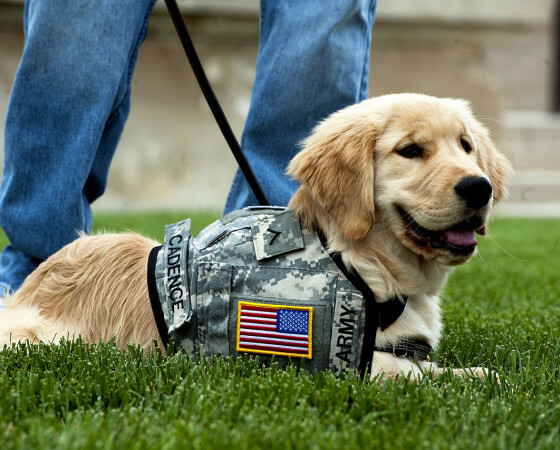 The phrase “Man’s Best Friend” takes on a new meaning when you think of a service dog. In fact, a properly trained service dog will lay down its life for its owner. It knows that its primary focus is to care for the specific needs of its owner. So finding the right dog trainer is critical. “It’s essential to train a service dog to the individual needs of the person,” according to Mark Castillero, owner of Pro-Train Innovative Dog Training and author of More than a Dog Whisperer. Mark’s customized approach has earned him the title Dogman Mark and this 40-year dog training legend has trained over 10,000 dogs! Dogman Mark points to the need for patience, persistence and a positive attitude for any person who is a dog trainer. Without these three character traits, it’s going to be a tough road for the prospective trainer and for the dog! Mark is big on mentoring. He includes several of his key mentors in his Amazon Kindle Best Selling book. Also, Mark is always on the lookout for great companies to provide good quality products for his clients. Mark recently found SitStay vests and are happy to use them for existing “trainees”. Mark likes that they have a good variety of sizes and they come in various colors. He and his Pro-Train staff really like the zippered pocket on each side. “We use one side for the laminated service dog certification card and the other side to hold a bag for poop pick up,” added Mark. “I’m always on the lookout for products that are well constructed and with quality materials and SitStay vests fit the bill.”It looks like SitStay has really done their research into what a service dog owner needs. Mark loves that the official service dog patches are already sewn into the vests. And he likes the reflective strip on bottom of each side, making the dog visible at night. So the next time you see a beloved canine with the Service Dog designation, know that pet is working hard for its owner. And it’s that bond and commitment that makes all the difference. This entry was posted in Blog and tagged dog training, dog training products, service dogs. Bookmark the permalink.